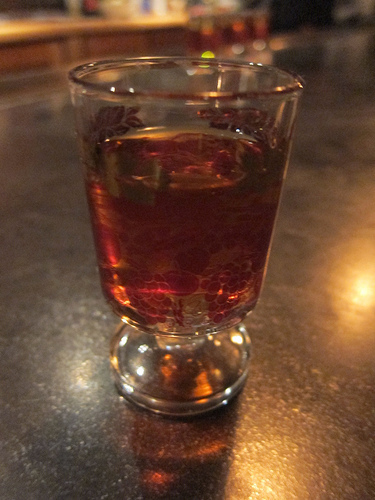 When Sotto opened on Pico in West LA, they got Kosher Amaro anticipating the neighborhood would like it. As it turned out, no one has ever asked for it. But maybe they just didn’t know it’s available. 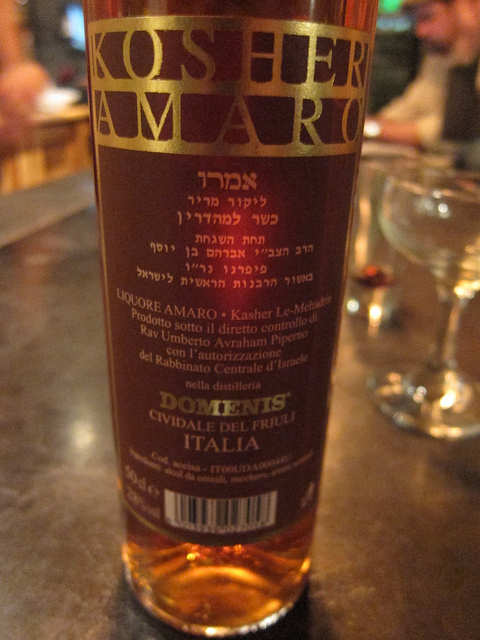 A quick Google search actually turned up several amari that are considered kosher including Averna. 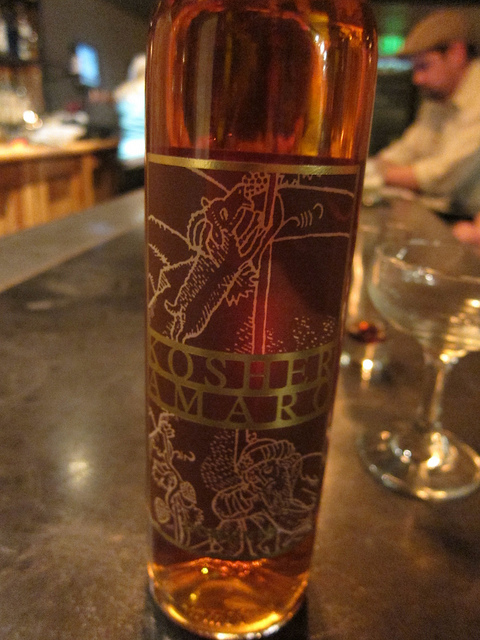 This Kosher Amaro (or Liquore Amaro) is from Domenis, Cividale del Friuli, Italia. It looks like they make a few different kosher spirits including grappa, sliwovitz (plum brandy) and Sambuca. I thought it was very heavy on the anise. It was nice as a shot and I would love to taste it in a cocktail. Time to head back to Sotto. This entry was posted in alcohol education, alcohol tasting, bars, history, la, los angeles, spirits, the minty and tagged amari, amaro, hebrew, italian, jewish, kosher, pico, sotto, west la. Bookmark the permalink.